Keeping Vitamin E in balance could prevent destruction of red blood cells, muscle degeneration, some anemias and reproductive disorders. Antioxidants such as vitamin E act to protect your cells against the effects of free radicals, which are potentially damaging by-products of the body’s metabolism. 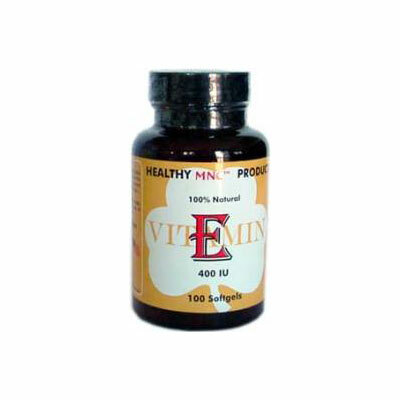 Keeping Vitamin E in balance could prevent destruction of red blood cells, muscle degeneration, some anemias and reproductive disorders. Antioxidants such as vitamin E act to protect your cells against the effects of free radicals, which are potentially damaging by-products of the body’s metabolism. Free radicals can cause cell damage that may contribute to the development of cardiovascular disease and cancer. Each softgel contains 380 natural d-Alpha Tocopheryl Acetate or d-Alpha Tocopheryl Acetate (derived from natural vegetable oils) and 20% dl-Alpha Tocopheryl Acetate. Other ingredients include Gelatin, Glycerin and Soybean oils. As a dietary supplement, adults take 2 softgels daily.